As a recent amputee, Thomas Morris discovered a whole new world when he attended his first Abilities Expo three years ago. Today, he's an ambassador and care advocate for a new educational program— www.SaveMyMedicalSupplies.org—that aims to help Medicare beneficiaries in receiving necessary medical equipment, supplies and repairs. "I began using a wheelchair in January of 2011 after my left leg was amputated below the knee due to an infection in my foot caused by having diabetes," Thomas recalled. His amputation was on January 14, followed by rehab. 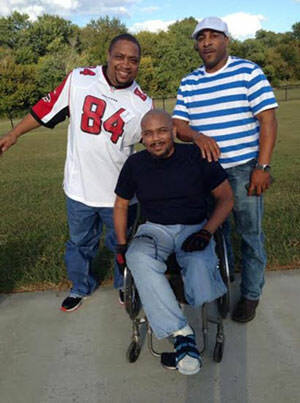 Two weeks later, he received his wheelchair and went home to figure out his next move. "Not long after my amputation, I was introduced to an amputee support group. 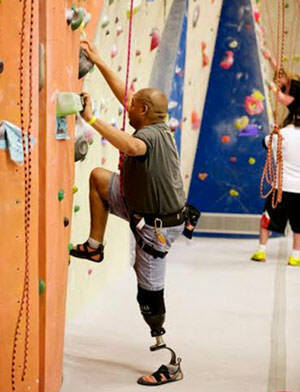 I've met a lot of other amputees through that group," said Thomas. "At first I went to the meetings for myself. After a while, I went to try and inspire new amputees. 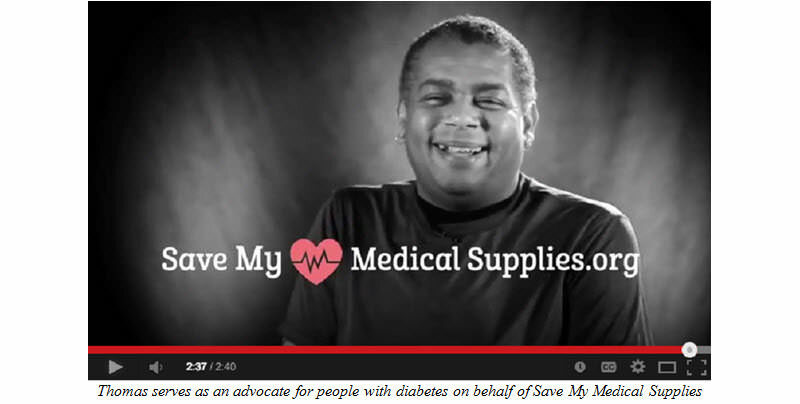 That's one of the reasons why I got involved with an advocacy group called SaveMyMedicalSupplies.org." SaveMyMedicalSupplies.org [SMMS] is an educational resource for Medicare beneficiaries, created by the American Association for Homecare. The organization is committed to protecting people from ongoing Medicare reform mistakes that impede or limit access to quality home care. 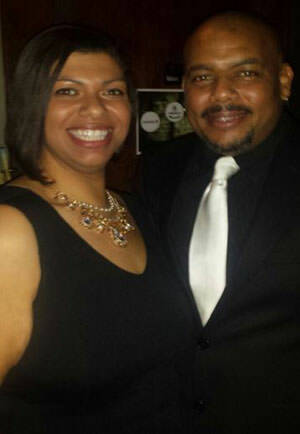 "I serve as an advocate for people with diabetes on behalf of SMMS, and have shared my story on their website to help educate the masses about the healthcare requirements of diabetics, and what can happen if they don't have the right access to quality care or quality medical supplies like test strips and meters," Thomas shared. As Thomas reached out to help others, the pieces of his own life gradually fell into place. He met his current girlfriend, a public health nurse from Florida, when she was in Atlanta visiting friends. "I met her at a party in July and it just progressed from there. It was one of those moments where you just sit down and start talking, and keep talking. Here we are eight months later!" said a jubilant Thomas. "The only question she's ever had is about how my prosthesis is attached and how it works." "On our first date, I was in a wheelchair and she wasn't even phased. When she met me, I was walking but our first date was after I got out of the hospital for a pressure sore and I used a wheelchair." Thomas insists that dating post-amputation doesn't have to be different. "It's great to be with someone who sees you for you," he said. The first part is getting healthy with how you feel about yourself. You have to be comfortable with yourself before anyone else will be," Thomas advised. "I know some people that are very sensitive to jokes about "peg legs" or whatever and some don't like to tell their story. To each their own. The more comfortable you are, the more you don't mind talking about it, the more at ease others are around you." "If you're pissed off and bitter, no one will want to talk to you. My mom always says, 'We're not going to have any pity parties,'" he said. "And we don't." Read the rest of Thomas' story can be found in the Wheel:Life book entitled Reconnecting: Relationship Advice from Wheelchair Users. 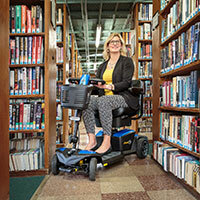 This free publication features the real life stories of people who use wheelchairs, along with their unique perspectives on friends, family and relationships including dating, marriage and parenting. Request a free copy at: http://wheel-life.org/book-request-form/free-book-series/reconnecting-book-form/.